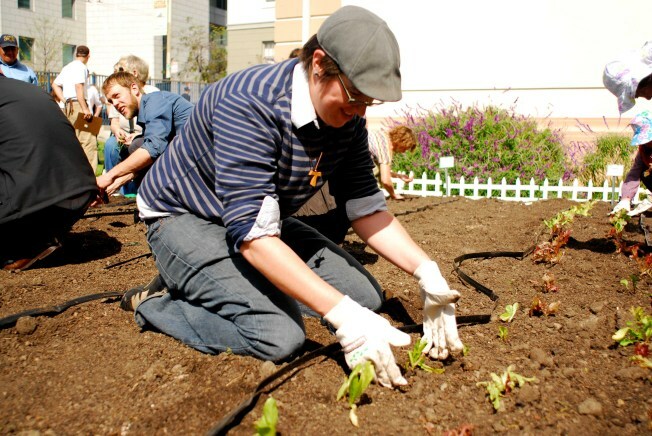 Pastor Megan Rohrer helps plant vegetables in the Urban Farming community garden near San Francisco Civic Center. "Gardens are some of the most self-care devices that we have," Rohrer said. "It gets you kind of rooted to the environment." Farms in San Francisco? It's about to happen. Technically it has been happening for a long time but the San Francisco Board of Supervisors is about to take the next step in urban farming. Mayor Ed Lee and board President David Chiuare pushing a a measure that would update zoning regulations in the City allowing residents to apply for permits to grow gardens anywhere. The measure would allow residents to not only grow fruits and veggies across the City with a permit but also sell the food. The City is hoping the measure will promote residents' access to healthy, locally grown food.